Scent enrichment gives animals opportunities for play and exploration. It is often associated with animals such as big cats; but the sense of smell is important to other animals, primates included. With humans, familiar smells can vividly evoke emotions or memories, while new scents expand our experiences. 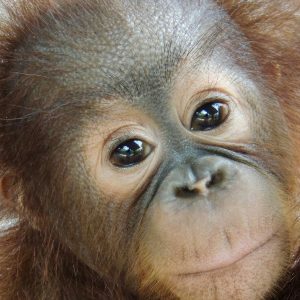 Orangutans are no different in this respect. 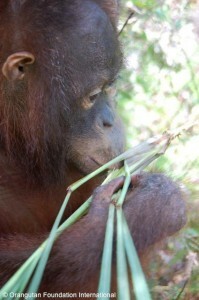 All of the animals at the Orangutan Care Center and Quarantine (OCCQ) enjoy exploring novel scents. During my time at the OCCQ, I have used my knowledge of aromatherapy to enhance the scent enrichment practiced here. We use fresh herbs where possible, and whole or ground spices like cinnamon, clove, nutmeg, star anise, ginger, and kencur. With plants that are not locally available, we use essential oils. As well as providing novelty and exploration, aromatherapy can be used for medicinal purposes. 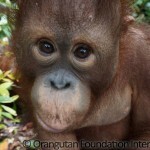 If an orangutan isn’t eating as much as he/she should, I give him/her peppermint to try and stimulate the appetite. 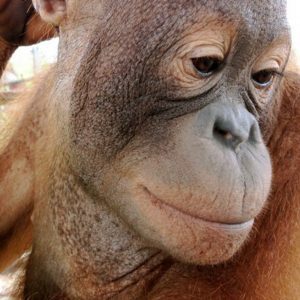 If one has trouble sleeping, I give the orangutan lavender or chamomile to increase delta brainwaves, which occur during deep sleep. For dry skin, I use calendula, and for itchy mosquito or tick bites I use kunzia, an Australian native plant. 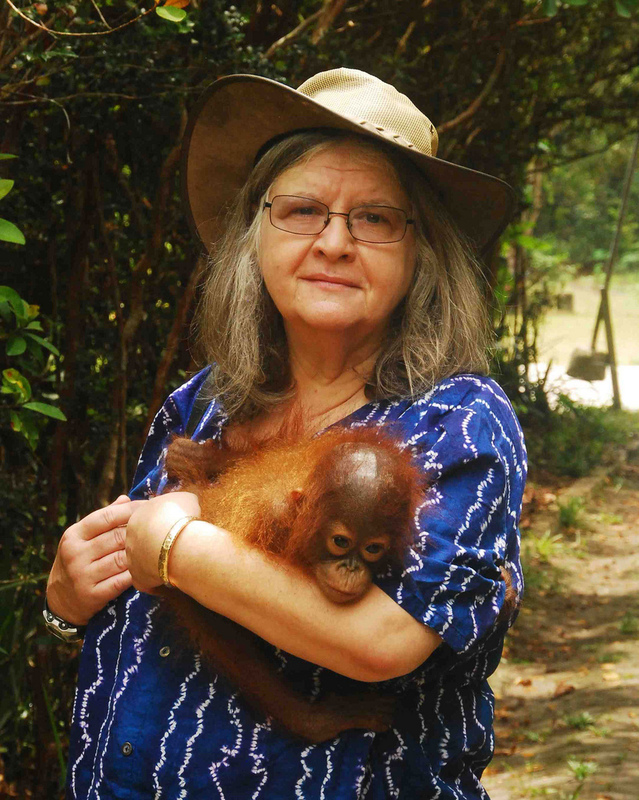 The orangutans all have their own personal favourites. Some adore cinnamon. Some prefer lavender. We scatter herbs, spices, and oils amongst their browse, sprinkle them in their parcels and Kong toys, smear them on the enclosures, or tuck them into their hammocks and swings. 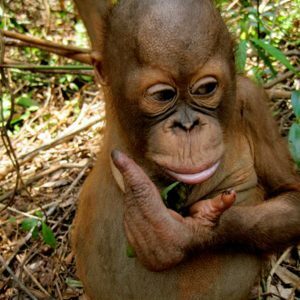 With experimentation, we have found, to our surprise ,that the majority of orangutans love lemon scents. I have never yet seen an orangutan turn down lemon myrtle, another native plant. Of Ausralia. 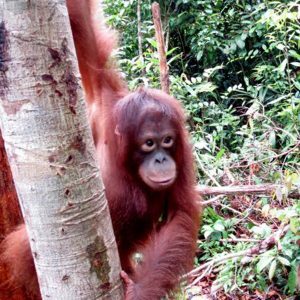 And all the orangutans seem to enjoy fresh lemongrass – eating the soft white flesh at the base, and playing with the grassy tops. This releases the essential oils within, which support the nervous, digestive, and immune systems as well as potentially improving mood and even keeping mosquitoes away! 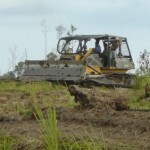 Recently, a new orangutan was brought to the OCCQ from a palm oil plantation, malnourished and unwell. She seemed very despondent and would not respond to any enrichment or make eye contact. I cracked a stalk of lemongrass to release the essential oils and left it by her. 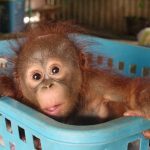 When I came back ten minutes later, she was lying with her face next to the stalk, sniffing it and “smiling.” I had a similar result with another orangutan a few months ago using lemon myrtle. 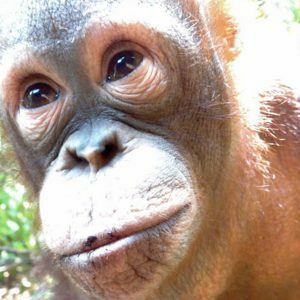 It always feels so good when an orangutan smiles at me for the first time after smelling something they like. 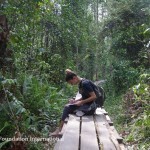 Although the OCCQ primarily cares for orangutans, there are other native animals that are also cared for here. 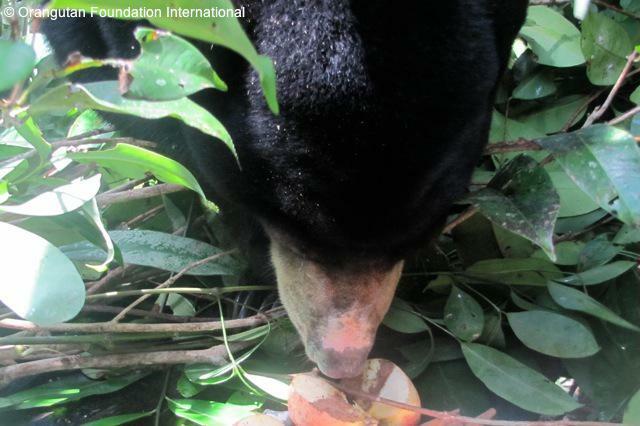 The sun bears and binturongs (bear cats, a type of arboreal civet) are two species that, like the orangutans, enjoy being given scent enrichment. The binturongs are quite attracted to star anise; and Hildegard, one of the sun bears at the OCCQ, loves nutmeg so much she almost appears to go into a trance when given fruit and browse with nutmeg sprinkled on it! The sun bears also react to each other’s scents very strongly, so browse from the male’s enclosure will sometimes be given to the females and vice versa. When the binturongs are given highly scented browse, they will rub themselves in it ecstatically for hours. Binturongs also mark their territory in the wild with their own scent. This is an important natural behaviour for binturongs, and therefore something we like to encourage. After their enclosure is cleaned, the male binturong will come down from his high perch and sniff around, sometimes even running his paw along the floor and sniffing it, as if he’s examining whether it’s been done to his satisfaction! He then carefully scent marks his territory again. Scent enrichment adds an extra dimension to the sensory stimulation provided for animals at the OCCQ and is an important facet of behavioral enrichment. And with the spices and citrus smells wafting around the preparation area, I sometimes think we get as much enjoyment out of it as the animals do!